The Mimosa tree, also known as the Silver wattle, may not be the earliest flowering ornamental tree in cultivation but it is one of the most outstanding. Coming into bloom from late-February onwards, the mimosa tree explodes into a thick cloud of golden, nectar-rich flowers which not only look amazing, but will also provide a valuable source of food for early emerging bees and other insects. The fragrant, pompom-like blooms are displayed against the backdrop of feathery, silvery foliage. Native to south-east Australia and Tasmania, this small evergreen tree is typically a pioneer species after bush fires, and was brought back to Europe for cultivation in 1820. Since then it has become widely grown as an ornamental plant in warm temperate regions of the world, however it will not survive prolonged frosts. Be that as it may, the Mimosa tree can be grown outdoors in the milder parts of the UK, making a brilliant specimen for sheltered borders. 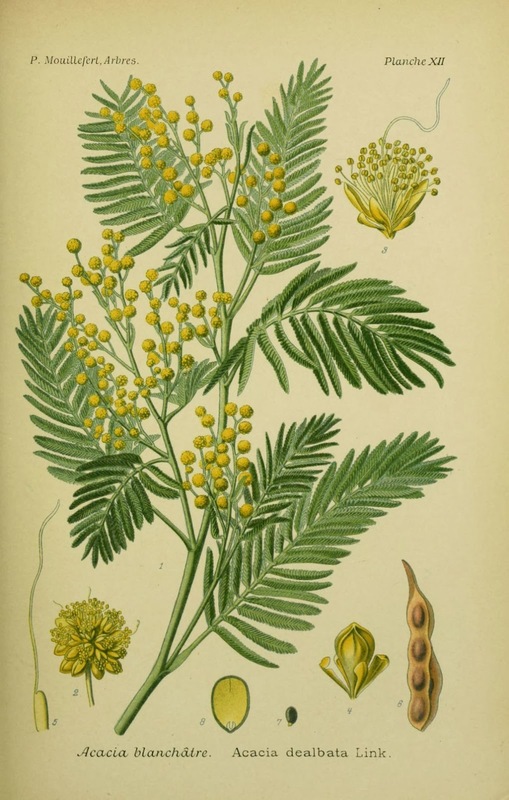 The Mimosa tree will require a rich fertile, non-alkaline soil with good drainage. In frost prone areas Acacia dealbata will need to be grown in containers, and move them to a frost free position in winter. Pot up Acacia dealbata into a good quality, well-drained compost such as John Innes 'No.3' mixed 50:50 ericaceous compost, and grow them on in frost free conditions. It may be worth adding some horticultural grit or perlite to increase drainage further. Mimosa plants become hardier as they mature and have been known to tolerate temperatures as low as -10°Celsius for short periods! However, maintaining winter temperatures of around 4°Celsius is much more preferable. Gradually acclimatise them to outdoor conditions over 7 to 10 days prior to moving outside. Choose a sheltered position in full sun, ideally against a south facing wall. Feed with a liquid soluble fertiliser every two weeks from May to August. In frost prone areas, will need to be moved back into a conservatory or greenhouse during winter. 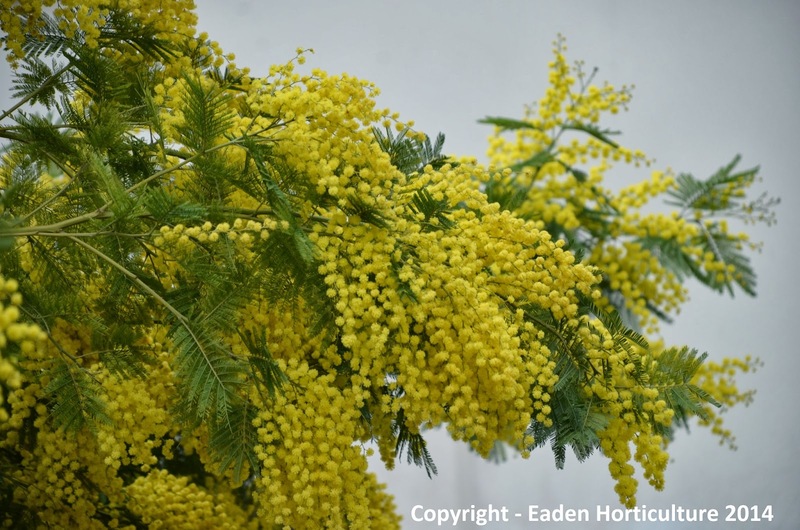 Acacia dealbata received the Award for Merit from the Royal Horticultural Society in 1935.